We're pleased to showcase Mateo Galindo Torres this month, a powerhouse performer and intelligent mover. 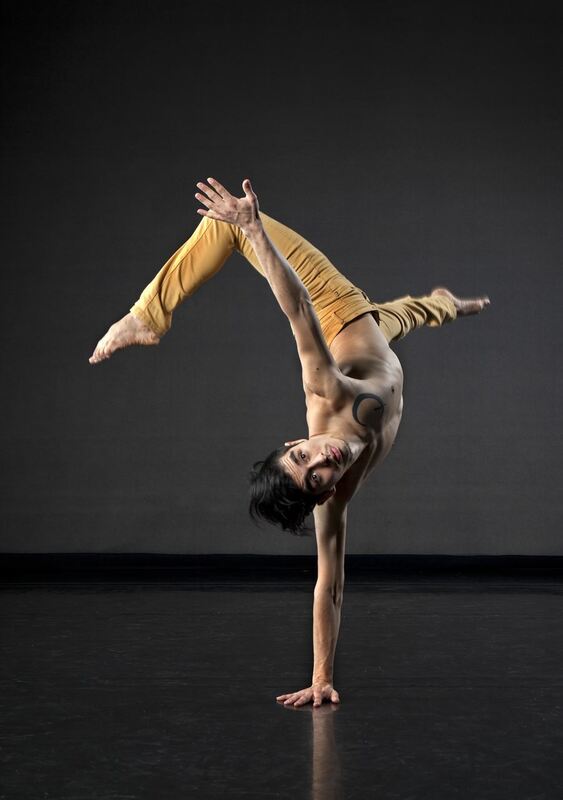 Ever since his graduation from The School of Toronto Dance Theatre back in 2013 Mateo has been dancing all over and in the Toronto dance scene! Q: What brought you to Toronto? A: I came to Toronto pursuing a career as a ballet dancer. I studied ballet quite intensively in Cuba so my main goal was to get a job in a ballet company. I have always loved Canada. From health care to ensuring rights to the LGTBQ community, Canada is a world example of fairness and inclusion and it was a country I wanted to live in. When I arrived here there weren't any upcoming auditions so I decided to attend the summer intensive at the School of Toronto Dance Theatre. I had a blast! Halfway trough the intensive, The School held auditions for the professional program so I decided to give it a try. I got in. Thinking that I wouldn't stay long since I still wanted to get a job as a ballet dancer, I started the program with the intention of learning something new and to keep training until I got a ballet job. I ended up loving the program more and more and decided to shift my focus to contemporary dance. Three years later I finished the program at the School of TDT and graduated with a passion for the art form. Q: What dance genres do you practice? A: Contemporary is my main and current focus. Contact improvisation is part of my current activities. The past couple years I have performed in a few nutcrackers so I guess ballet is also still a part of the things I do. I also trained intensively in argentinian tango and danced in a Tango company in cuba. And well, having a Latin background, I love to show off my fancy salsa moves. Q: What role does dance play in your day-to-day life? What role does it play in your culture, community, family or background? A: Dance is my life, most of the things I do are related to dance. Those who know me closely know that I am working 24/7 creating opportunities to create or perform more. And since it is my main activity, my main network is the dance community. All my close friends and the people I interact with on a regular basis are related to dance in one way or another. In terms of my family, my sister is an incredible professional dancer and my mother, well she has dance in her blood and soul. I don't really know many people that enjoy dancing the way my mom does. I guess she passed that love for dance to her children. Besides them no one else in my family really dances much... well, except of course the moment you put a good salsa or vallenato and open a bottle of aguardiente all of them will grab a partner and bust some moves. Q: Why did you join CADA-ON? A: I truly believe in what CADA stands for. When you go to the website it says "...We work to empower and educate our members in self-representation by providing entrepreneurial resources needed for a successful career." I truly believe one of the main reasons I have what I call a successful career is because I have the tools to demand and ensure the fairest working conditions possible for me and the people I approach to work with me. Q: Has the training subsidies program benefited you? and if the answer is yes has it inspired you to go take more classes? A: Quite honestly I have had the great fortune to be able to stay trained and active through the jobs I do. But yeah, knowing that this is part of the perks of CADA, I am definitely more inclined to take classes. Q: Where do you go to continue your training? Besides dance class do you take other classes/workshops to forward your artistic career? A: Besides dance, I am currently in love with rock climbing. It has become quite a meditative practice and works my body in a different way allowing me to tap into a different physical awareness and sensitivity.